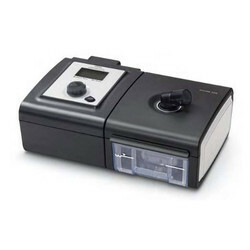 Importer of a wide range of products which include philips respironics dream station cpap pro machine, dorma 500 cpap machine, airsense 10 cpap machine, lumis 100 vpap s machine and dream station go auto cpap machine. Rugged, versatile Auto-CPAP: The Dorma 500. Onboard display shows 7 & 30 day averages as well as total therapy hours. An optional humidifier and removable smart card offer. Auto-titration and data management. 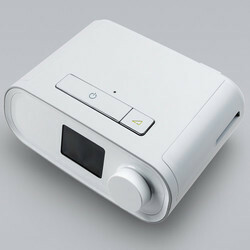 Auto-CPAP advantages: The auto therapy features the patient's needs. The comfort and reduce noise. Basic event detection: Dorma 500 is ready for use. Data collection, AHI, pressure, humidification, and patterns of use. Optional humidifier: Classic integrated humidification is available for the Dorma 500. Users can choose between 0 and 5. Simple icon-based interface: Bold, graphic display icons. The universality of this icon-based interface. Respected Philips quality:The Dorma series Every unit is built into the toughest quality. Connectivity comes standard: With each AirSense 10 device offering built-in cellular technology, you get unprecedented access to therapy data and remote access to device settings, helping you to be more connected with your patients and even more efficient in your business. Lumis 100 VPAP S is a noninvasive ventilator designed for spontaneously breathing, non-dependent patients with respiratory insufficiency. 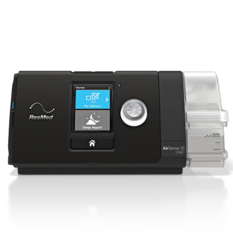 The ventilator is easy to set up and use, and is supported by ResMed’s ResScan patient management software. Powerful, portable, performance:At half the size of our System One and DreamStation platforms, DreamStation Go offers the same therapy and comfort features used by over 5 million CPAP users. Patient perferred tubing:1Our 12mm micro-flexible tubing is designed to provide your patients with added freedom of movement while they sleep. Engineered to minimize bulk and improve mobility, our 12mm tubing is 58% smaller than our 22mm performance tubing. It offers enhanced flexibility, portability, and connectivity. Click-connections on each end of the micro-flexible tubing makes connecting and disconnecting the device and mask simple.